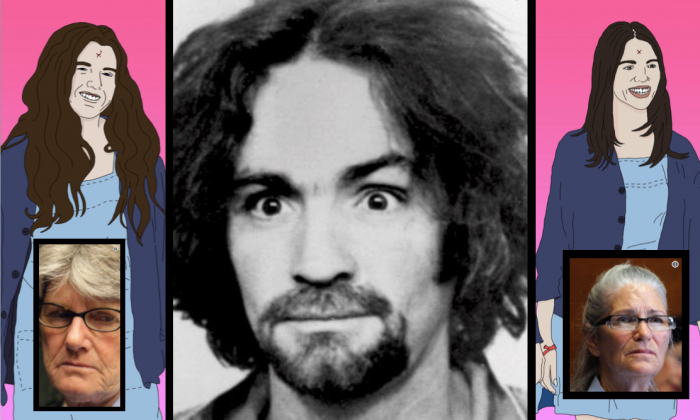 Charles Manson, horrifying yet hypnotic, languished in prison until 8.13pm on Sunday, Nov. 19. The convicted killer and cult leader who allegedly proclaimed “I am crime” masterminded a series of grisly murders meant to spark a race war in the 1960’s and brainwashed his faithful followers into carrying them out. Over the course of two nights in the summer of 1969, members of the ‘Manson Family,’ as the group became known, brutally killed seven people. Actress Sharon Tate, wife of film director Roman Polanski, was their most famous victim. Several of Manson’s followers attacked her and four guests at her house. Tate was due to give birth to a son and begged for mercy, “Please don’t kill me. I just want to have my baby,” she is reported to have said. One of the Family then stabbed her 16 times and used her blood to write “PIG” on her front door. The following night, Manson’s crew murdered a wealthy businessman named Leno LaBianca and his wife, Rosemary. The incidents became collectively known as the Tate-LaBianca Murders. Although Manson didn’t personally take part in the killings, he was found guilty of first-degree murder for the deaths of nine people. His parole applications were turned down 12 times. California Board of Parole Hearings Commissioner John Peck told CNN that Manson had accumulated 108 serious disciplinary violations in prison since 1971 and that he had shown no remorse for his nine murder convictions. Manson’s next parole hearing was scheduled for 2027, but his death cut the wait short. And now, members of Manson’s ‘Family’ still in jail may be wondering whether they, too, will live out their final hours behind bars, or will Manson’s death give them a shot at early release, which so far has been consistently denied. Krenwinkel, 69, was convicted of all seven counts of murder in the Tate-LaBianca attacks and has become California’s longest-serving female prisoner. She admitted to stabbing one victim dozens of times and using blood to smear the words “death to pigs” on the wall during the killings, when she was 21. Krenwinkel was denied parole in June 2017, for the 13th time, after an inquiry into allegations that she had suffered abuse at the hands of Manson, says the Daily News. Van Houten, 68, was convicted of the killings of Leno and Rosemary LaBianca, for which she showed little remorse during her trial. She admitted to stabbing Rosemary LaBianca 13 or 14 times in the abdomen, first holding her down as her husband was attacked. Years later, Van Houten was considered a model prisoner and said that she regretted taking part in the murders, claiming mental illness that was exacerbated by the use of LSD at the time of the killings. Van Houten has been denied parole at least 20 times, though twice approved by a parole board. The first approval was overturned by California Governor Jerry Brown in 2016. In September 2017, the parole board approved her release for the second time, starting a 150-day review process that is pending a final decision. Watson, 71, claimed to be Manson’s “right hand man.” In Manson’s absence it was he who gave instructions during both the Tate and LaBianca killings and personally took part in stabbing the victims. Watson allegedly fathered four children from conjugal visits in prison, reports the New York Times. He was denied parole for the 17th time in 2016 and remains incarcerated in a California prison. Atkins was first convicted of the murder of Gary Hinman, a friend of Manson’s. Later, in prison, she implicated herself by bragging to cellmates that she took part in killing Tate. Atkins was routinely denied parole and died of brain cancer at a California prison in 2009, at the age of 61. The first successful Manson Family parolee will undoubtedly make news headlines, a fact California Governor Jerry Brown must surely be aware of as he weighs the release of Van Houten after more than 40 years in prison.